WHAT IS IT? The Model SC skirtboard clamp forms the basis for a dust containing system that doesn't allow material to leave the edges of the conveyor belt. WHY IS IT NECESSARY? The Model SC skirtboard clamp reduces material spillage off the sides of the conveyor belt. 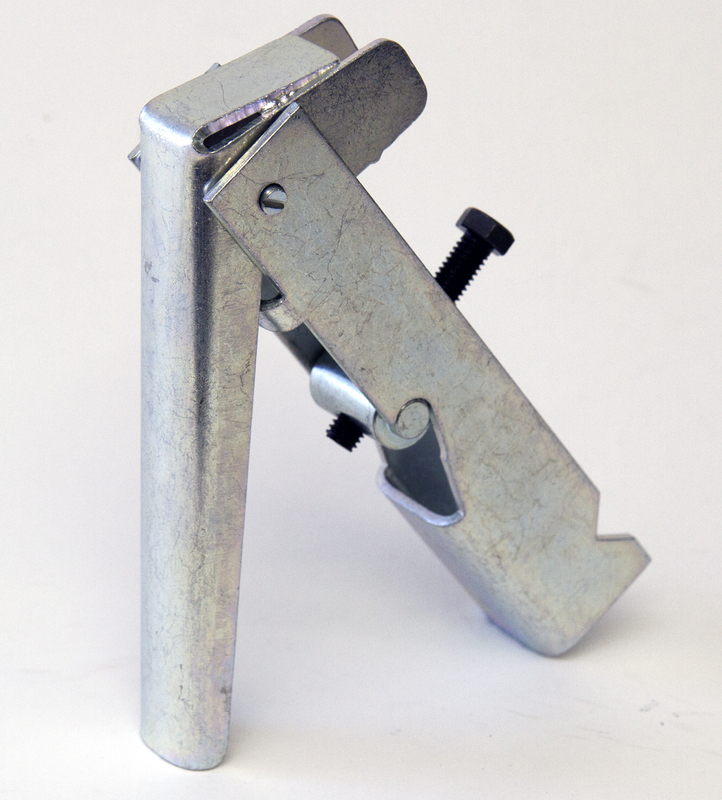 The skirtboard clamp consists of three parts: the wing action clamp, a pivot, and a threaded stud. The clamp material is a zinc plated mild steel. Recommended spacing is a maximum separation distance of 3 feet. The unit is mounted on a 3/8" diameter by 2-1/2" long threaded stud. Winged action handle makes adjustment quick and easy. The typical customer supplied angle iron is 1" x 1" x 1/8". Versatile clamping arrangement accommodates a variety of skirtboard rubber thickness. Angle iron and skirtboard rubber is typically customer supplied.